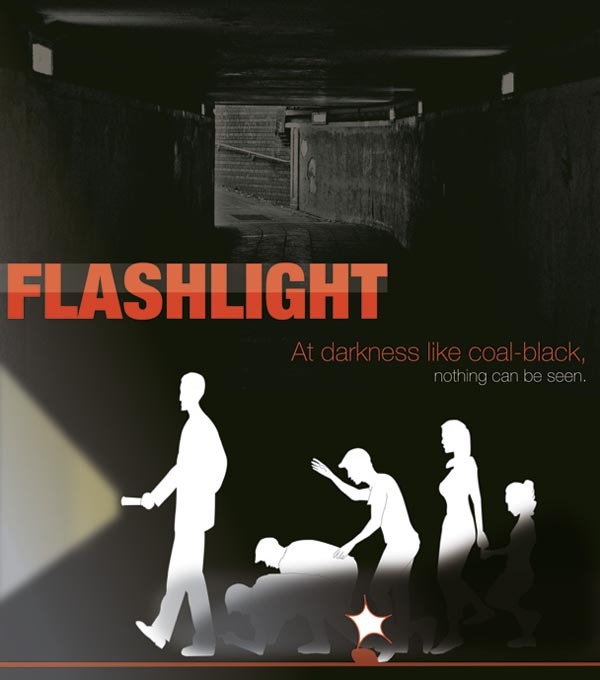 Want to enjoy your adventure with your friends in the dark? 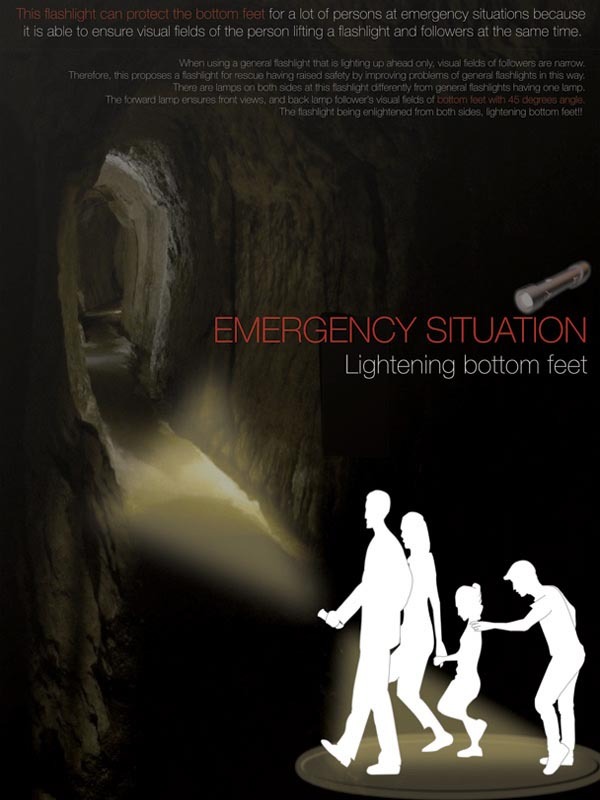 Apparently you need a powerful flashlight such as Junwon Yang’s emergency flashlight with double illumination. 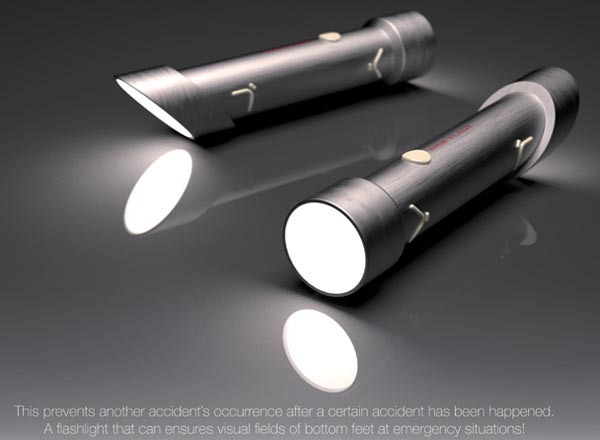 The practical emergency flashlight is designed by Junwon Yang. 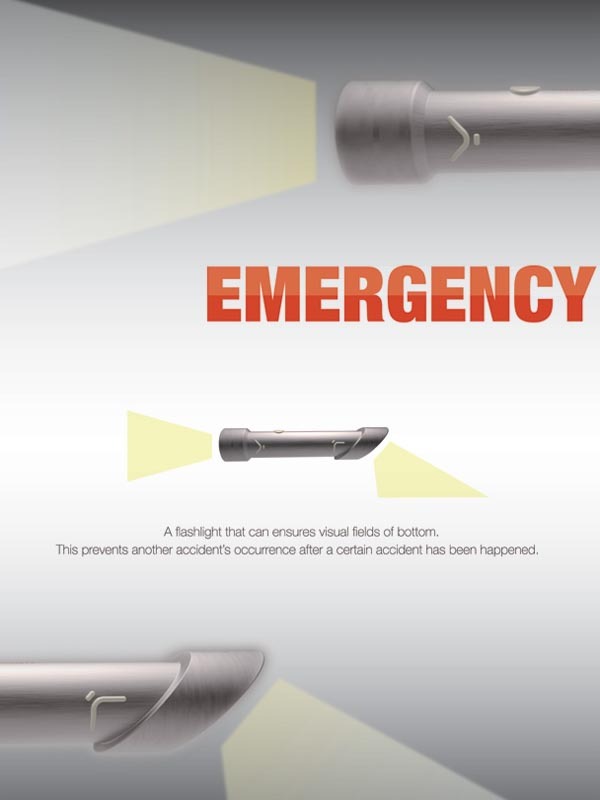 As shown in the images, unlike common flashlight, the emergency flashlight comes with two lamps at both the ends of the shaft. One lights your way, another points the floor behind you at 45 degrees in order to provide illumination for the people behind you. 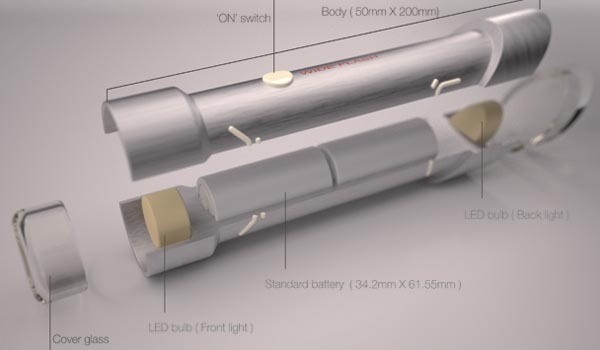 Unfortunately, the emergency flashlight is still a design concept at present, but we believe the easily-achieved design concept will become reality in the near future. Additionally, if you need other available options, you might like to check the lightsaber flashlight, Quirky Lumi LED flashlight and more via “flashlight” tag.